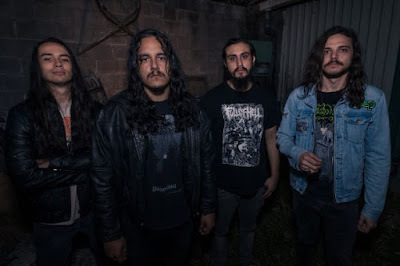 Drawing inspiration from the canons of doom-death metal acts such as Thergothon, Saturnus, and early My Dying Bridge, while incorporating elements of sludge and post-metal. Named after Siberia's northernmost city, Norilsk's themes revolve around Northern identity, isolation, and world demise. A short but solid EP coming in at just under twenty minutes, Norilsk sets the excitement level high for their upcoming full-length. 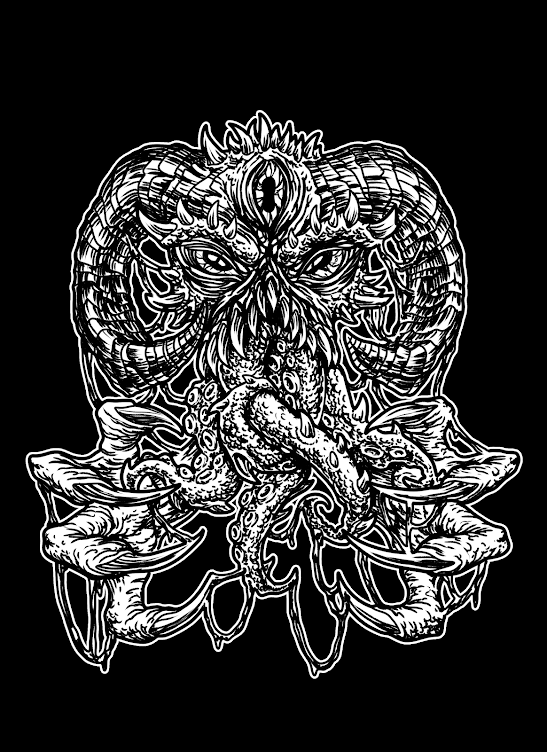 Per their press kit this EP has one song from their upcoming full-length (“Japetus”), one Voivod cover (“Negatron”), and one alternate version of the first track (“Potsdam Glo”). Although I would like to add calling “Potsdam Glo” an alternate version of the first track is a bit odd because they could not possibly sound any more different. The first track “Japetus” begins with a rhythm figure reminiscent of some of the band Morne's intros on their last album Shadows with a simple Neurosis style lead. Once the verse hits it slides right into an icy groove evoking some serious head nodding. 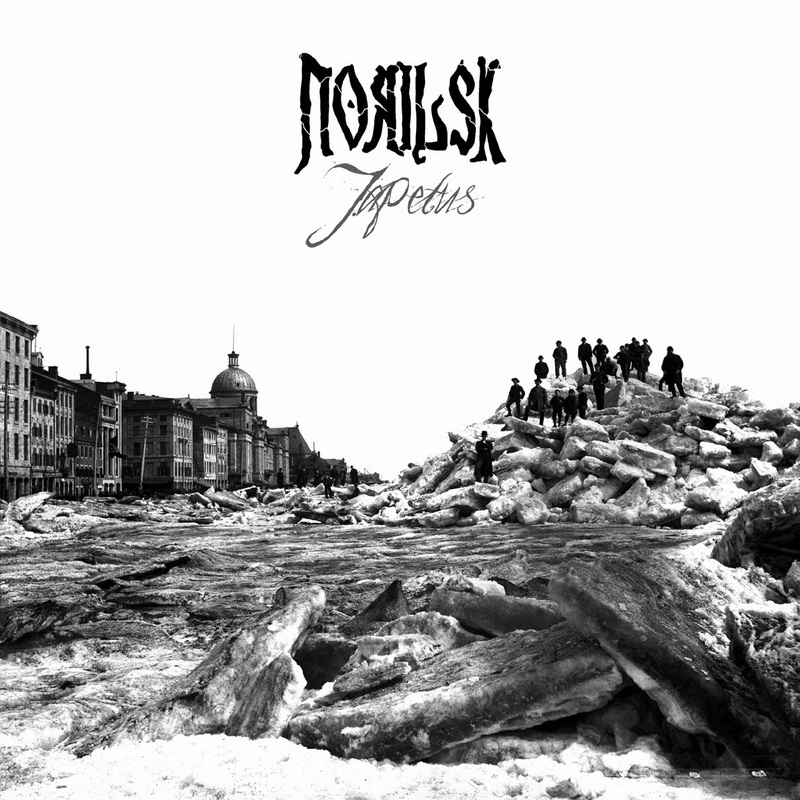 The dark black metal style vocals set an icy mood which Norilsk does not break from throughout the EP. Some of the post-bridge closing section reminds me of “Streetcleaner” era Godflesh particularly on the drums. The end of “Japetus” is my favorite part of the song bringing it to a good headbanging resolution. The Voivod cover “Negatron” is pretty damn cool but it does not deviate substantially from the original for the first couple of minutes. Interestingly the bass tone is almost perfectly identical to the original. Where this cover differentiates from the original is the thrashy bridge section with the crazy guitar solo seems to not be present. That being said I do like the part they put in instead and it doesn't take away from the flow of the song. I also like the way Norilsk ends the song more then the way Voivod did on the original and there is some cool metallic reverb on the guitar at the end. The final track “Potsdam Glo” begins with a fade in on a great lead line into some really cool harmonics over the verse. A much more minimalist track then the other two the extra space allows Norilsk to really set a mood more so then the other tracks. Boasting the best song writing on the album this was my personal favorite of the EP. A crushing slow extended bridge section over pounding drums leading into the final verse is the highlight of the album. Really nice production abounds here as the mix is very clear and the drums sound pretty damn great. Overall a good effort and the range Norilsk shows on the two originals “Japetus” and “Potsdam Glo” are a great preview for their forthcoming full-length and are definitely worth a listen now not later.